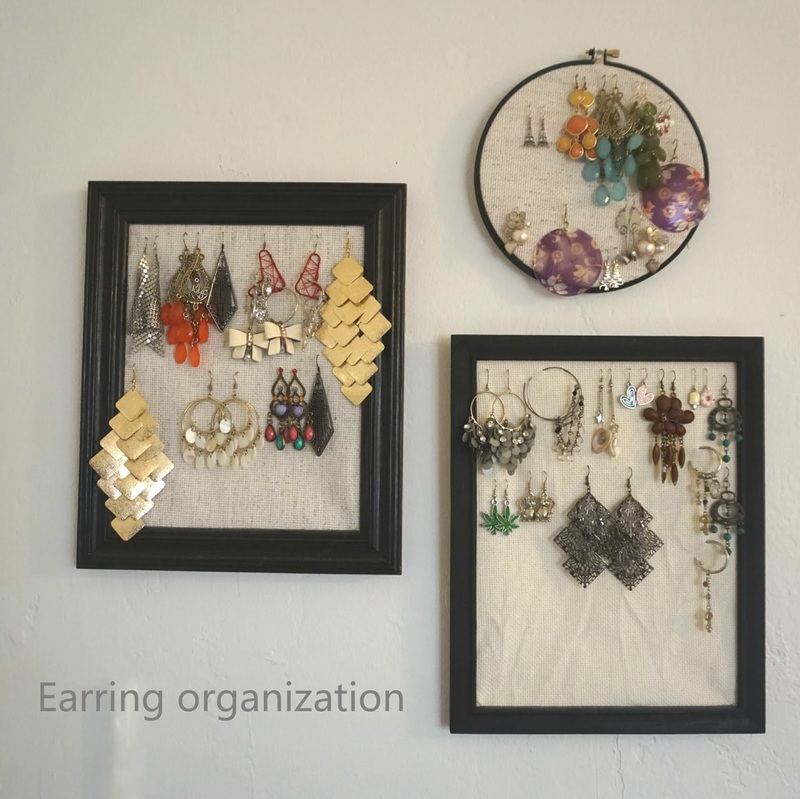 With two thrifted photo frames, a embroider hoop and leftover cross stitch fabric, earring organization is achieved. Embroider hoop, I already have one that's too small for my big project. For under $5, I was able to display my earring and keep them organized. How fun and easy it is to pick out a pair to match my outfit of the day in the morning.